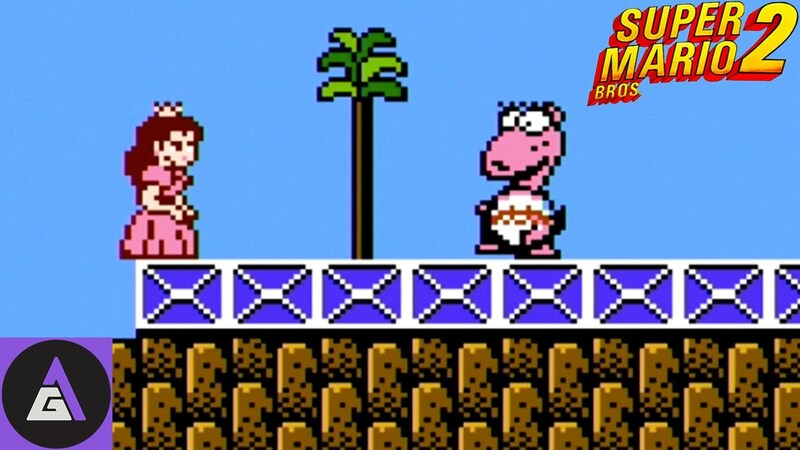 Find out about Nintendo's Super Mario Bros. 2 known for one of the best side-scrolling 3DS game. Learn about how its ROM can be used to emulate it on PC. Super Mario Bros 2 is a Nintendo's second addition to Super Mario Bros game series. This game was released in 1988 for NES, Super NES, Gameboy Advance and PlayChoice-10 gaming platforms. Basically, it is a Platform game which is sub-genre of action games. In this type of video games, the player has to control a character to avoid the various type of obstacles which are suspended and placed in his way. Most of the time the player needs to jump in order to avoid the obstacles, there are many types of scenery in the background. Most of these genre games got a lot of popularity all around the globe, people have loved these types of games and enjoyed playing it. In beginning, it was released only for Nintendo Entertainment System but later it was remade for other above-mentioned platforms. This single-player video game is one of the most played classical game in the history of the gaming world. It only supports single-player mode, unlike the prequel which was a multiplayer game. In its 2D side-scrolling game, you have to navigate your character's avatar through different stages and level which are located in a dream world. There are four protagonists in the game and you have to choose one from them, at end of every stage or level you have to beat an antagonist whose name is Wart. Each of these characters possesses the different type of strengths and abilities which makes them unique from one another, these four characters are names as Toad, Luigi, Mario, and Princess Toadstool. In the previous version of the series Super Mario Bros, the character could only go from left to right but in this edition, you have a freedom of going right to left as well. You can choose different characters in order to pass different levels of the game. Mario has an ability to jump farthest so in missions where there are obstacles placed at distant locations you can select Mario. Luigi's jump is very high as compared to the other characters so where you think you need to jump high to deceive obstacles you can select Luigi. You can select Toad when you need to pick items fast because his speed in picking up items is very fast and he is really good at that. More than 20 different types of levels are featured in this edition of the series, each level is plotted in a unique world. The player has to complete three stages of each level, you will experience deserts, snowy lands, quicksand as a theme of every stage. Different types of items are placed between the levels and you can collect these items to increase the health and abilities of your character. At the end of every level, there is an enemy and you have to defeat him to complete the round. At the end of the 7th world, you will face Wart, the objective is to kill him to end the game. All the characters have a dream about entering a new world called dreamland which is cursed by a tyrant who is a frog known as Wart. Mario when meets Luigi, Toad, and Princess share his dream and finds they all of them had the same dream in which they are asked for help to defeat Wart so that doom to dreamland could be brought to an end. When they decide to help the people and fight the enemy they find out that it's a long way to kill that monster, but somehow they are successful in doing this. When everyone is celebrating Mario wakes up from the sleep and finds out that all this happened in his dream, he is unsure whether it all happened in real or not. 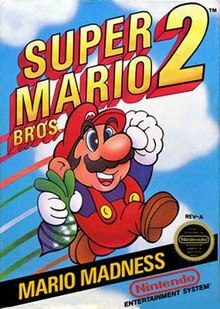 Super Mario Bros. 2 can be played on the PC if downloaded, for playing it on a browser you will need a ROM. It can be downloaded from different sources and installed on your PC. Basically, after downloading this ROM, you can Emulate the game on Microsoft Windows. It can be played on any device in high quality and at best performance. You can find a link to the setup of this Nintendo emulator on Google. Critics score for this amazing game is really good, you should also play this classic game. There are many other side-scrolling video-games in the market but the Super Mario Bros series is famous for its attractive gameplay and features. The difficulty level of all levels and stages can be adjusted according to the player's wish which is one of the most interesting features of all editions of this series.